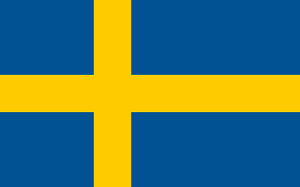 Sweden is a Scandinavian country comprising of thousands of coastal islands, inland lakes, forests and mountains. Its main cities, Stockholm and Gothenburg are all on the sea. Stockholm is home to royal palaces, museums and parkland. Gamla Stan is an old town set on islands, joined by bridges and ferries. Sweden is a beautiful place to visit and with TCE taking charge of your money matters, you can enjoy its natural beauty as well. The Krona has been the currency of Sweden since 1873. Its sign is kr and code is SEK. One Krona is subdivided into 100 ore, however they have been discontinued as of 30th September 2010. TCE offers the best exchange rates to its customers, without any hidden charges. Our customers never overpay, instead they save money. At TCE, we value time and with this in mind, we offer our customers an online ordering system. It is convenient, reliable and saves time. With the unique option of home delivery, your exchanged currency is delivered through Canada post and is within two business days. It is not only speedy, but reliable as well.